Gas-powered lawn mowers can have problems and need maintenance. 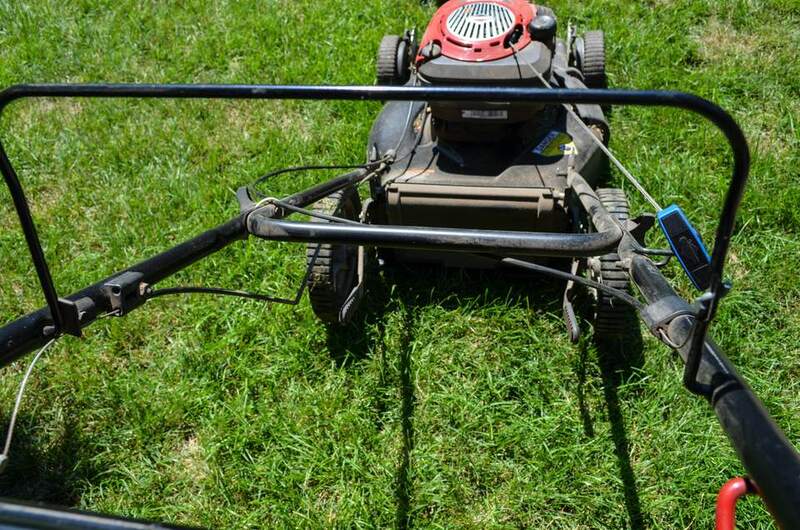 Here are some common scenarios that may happen to a gas-powered lawn mower and how to resolve them, according to Cub Cadet. If you're engine won't crank, you should first confirm that all the safety features are functioning properly. Make sure the mowing deck is not engaged, the parking brake is on and you are seated on the lawn mower if it is a riding lawn mower. If one of the safety switches is off the lawn mower will not start. The battery may also be the issue. Sometimes the battery cable leads can work loose from the battery terminals. The black negative battery cable must be attached securely to the negative battery terminal and the red positive battery cable should be connected securely to the positive battery terminal. If you have a hydrometer, test the battery to determine its condition. A fully charged cell will measure 1.250 specific gravity. If the battery is in working order, locate the fuse holder(s) and inspect to see if a fuse is blown. Refer to the operator’s manual to find the fuse holder(s) location. Check for loose, bare, or pinched wires and replace any blown fuse with the proper amperage automotive fuse. If the lawn mower will not start, check the fuel level. The engine will not fire if there is not enough fuel in the carburetor. It is also possible the fuel line is clogged or blocked. Clean the line and replace the fuel filter to solve this problem. Make sure the throttle and/or choke is in the proper position. This position can vary from model to model of lawn mower. Consult the operator’s manual for the proper positioning of the choke and throttle for the lawn mower in question. Faulty spark plugs or disconnected wires can also cause the engine to crank but not start. Run a diagnosis on the spark plug wire connection by using a spark plug tester to see if any plugs are faulty. Clean the gap, making sure it is set properly or replace any faulty spark plugs. The most common cause of an engine smoking is having too much oil. Examine the oil level and remove any excess oil if overfilled. The problem should go away once the excess oil burns off. If the smoking persists, it could be possible the engine is losing its crankcase vacuum. Loss of crankcase vacuum can be caused by a broken or improperly seated dipstick, dipstick tube, or valve cover as well as a defective engine breather assembly or other internal engine damage. Replace any defective parts to restore crankcase vacuum pressure. Blades, pulleys,​ and spindles should not be bent or damaged. Mowing over a large object such as rocks, roots, sewer lids etc. can cause damage to the parts. Any damaged parts should be replaced. A twisted or damaged belt may also be the culprit. All belts should be in good shape and properly routed. Replace the belt if it’s torn or shows signs of wear. Vibrations can also be caused by loose or missing mounting bolts, running the engine at a low RPM, or an improperly adjusted cutting deck. Don't Make the Big Lawn-Care Mistake of Cutting Your Grass Too Short! What Is Red Thread Lawn Disease?